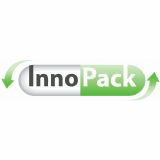 InnoPack brings the latest innovations in packaging and drug delivery systems to pharmaceutical buyers. Covering packaging, drug delivery systems, labelling and track & trace, InnoPack joins CPhI Southeast Asia to showcase global packaging solution providers. Packaging is increasingly important to the pharma supply chain, playing a key role in product development, safety, dosage and dispensing.